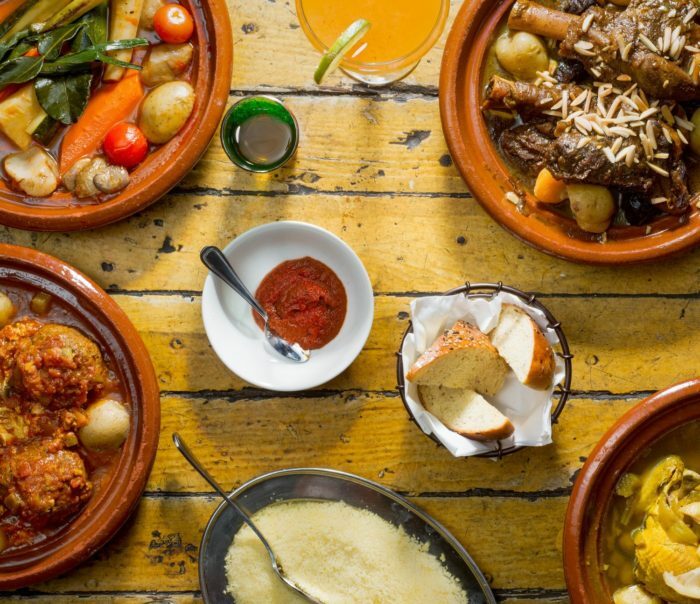 Join our teacher Pia around a delicious Couscous dinner at Bar Omar in Williamsburg. On top of brushing up your French on the spot with a French speaking staff, the dinner will include an extensive discussion of the longtime relationship between France, North Africa and the Middle East. The complicated legacy of French colonialism has led Maghreb countries to have a tremendous influence on French culture especially through food but also movies and music! Price includes bottomless couscous & vegetable bouillon with merguez, tajine style chicken, lamb saute, and Kefta. (please not that the price does not include tax, tips and drinks).